Rangers manager Ally McCoist insists Dundee United chairman Stephen Thompson should stop complaining about the fee he has to pay for Charlie Telfer. Thompson was angry that a tribunal ordered United to pay Rangers £204,000 compensation for the 19-year-old, who moved to Tannadice in the summer. "Stephen knew the rules before he went and got Charlie," said McCoist. "I don't think you can complain about the rules after you make your own decision. You have to abide by them." Telfer, who was named the SPFL young player of the month for November, was out of contract at Ibrox but Rangers were due compensation after developing the player for 10 years. Thompson had expected to pay around £100,000 for the teenager. After the tribunal decision, the United chief described the figure as "ridiculously prohibitive" and warned it could have a serious impact on young Scots' ability to move clubs under freedom of contract. "It's very, very uncommon for these tribunals to see both parties leave delighted with the outcome," added McCoist, whose side face Queen of the South away on Friday night. "We feel happier with the outcome and that we got our just rewards for the education we gave Charlie over the last 10 years. "I can also understand Dundee United's disappointment. "But they knew the rules before they did that [signed Telfer]. Now they are having a moan about the rules. I'm not necessarily sure that should be the case. The rule hasn't changed since United went and got Charlie." Rangers should take a sizeable travelling support to Dumfries for Friday night's Championship match after selling out their allocation of tickets. That is, however, in stark contrast to their recent games at Ibrox. Rangers claimed around 28,000 fans turned out for last Saturday's 1-0 win over Cowdenbeath - only for chairman David Somers to later admit the real figure was 9,000 fewer. 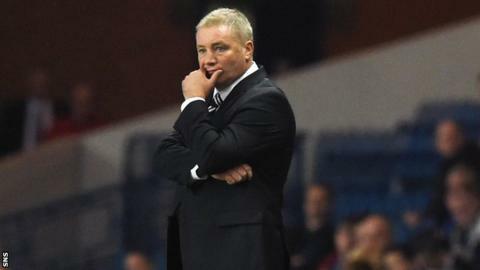 And McCoist added: "It's definitely a different stadium when the crowds are down. "Make no mistake about it, our players would much rather play in it when it is full to capacity. "But whether it is 1000 or 50,000, the job is still the same. The focus on getting results can't change and won't change."